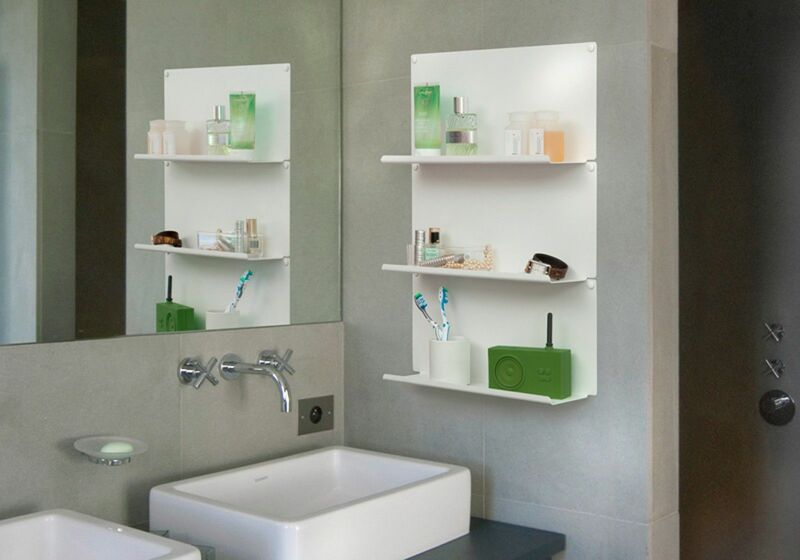 > Wall shelves>Bathroom shelves>Set of 2 bathroom shelves "LE"
The set of 2 "LE" bathroom shelves are simple and functional shelves. 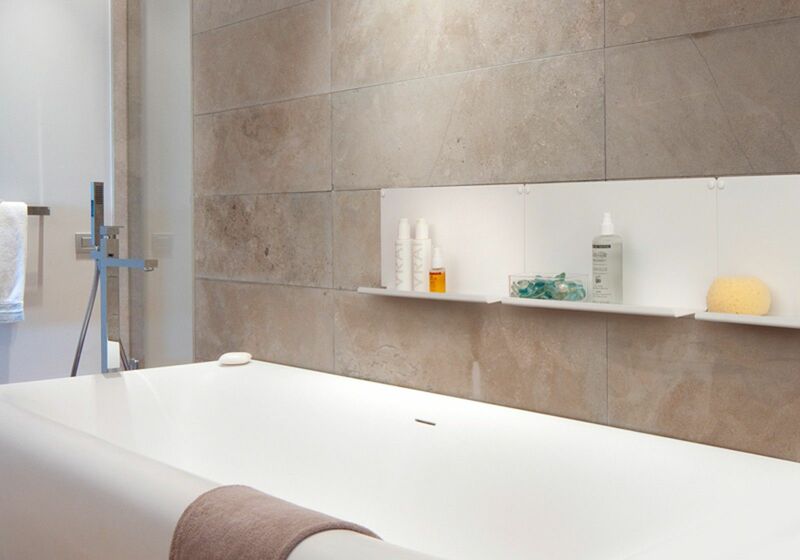 You can assemble them to create a small wall-mounted unit for the bathroom, positioning them either horizontally or vertically. 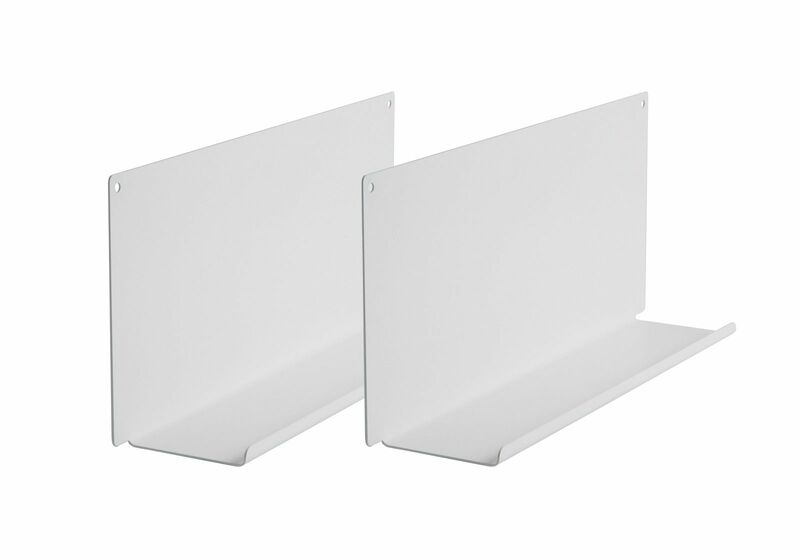 Set of 2 Bathroom Shelves. 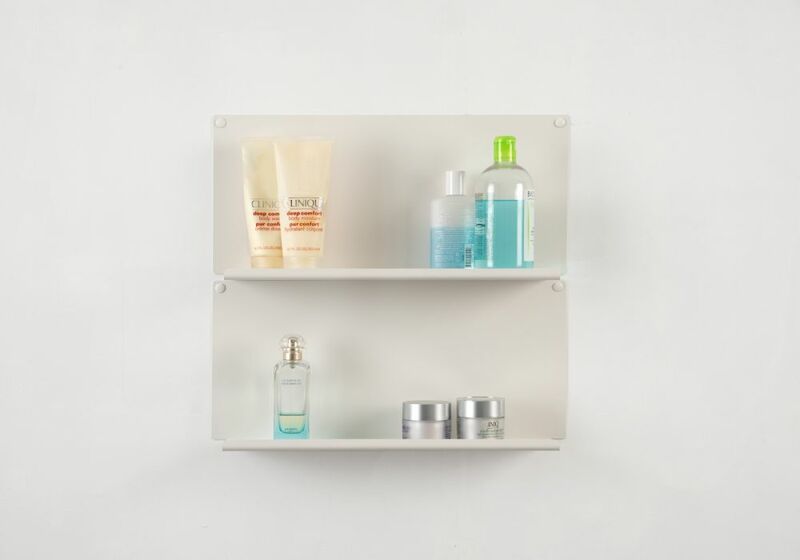 The bathroom shelves are small shelves that are not very bulky thanks to their reduced depth (10 cm). 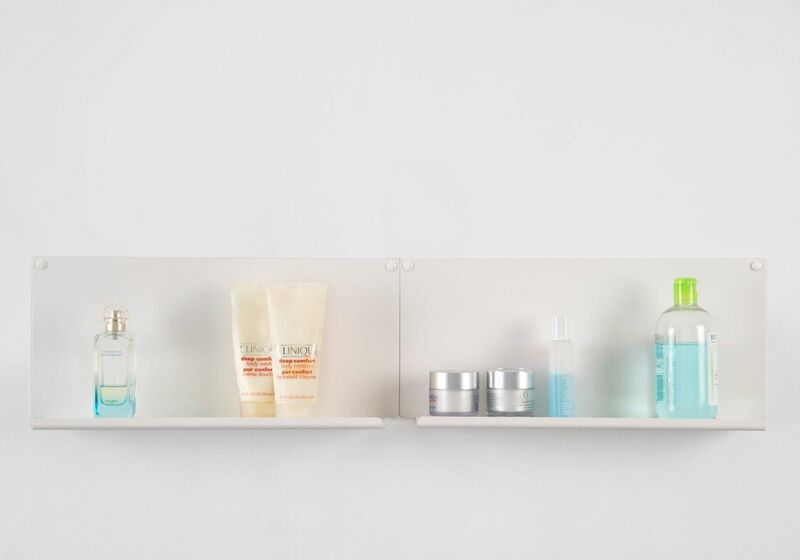 You can position them as you please, horizontally or vertically, to obtain small but very functional wall units in the bathroom. 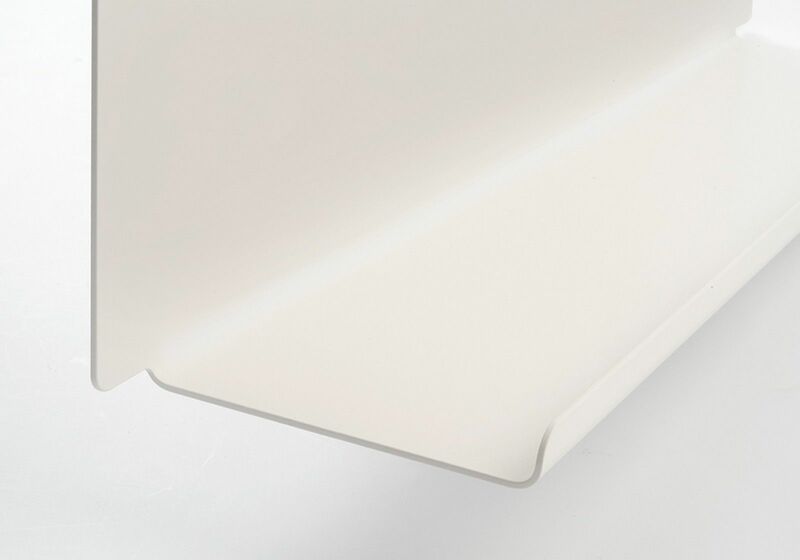 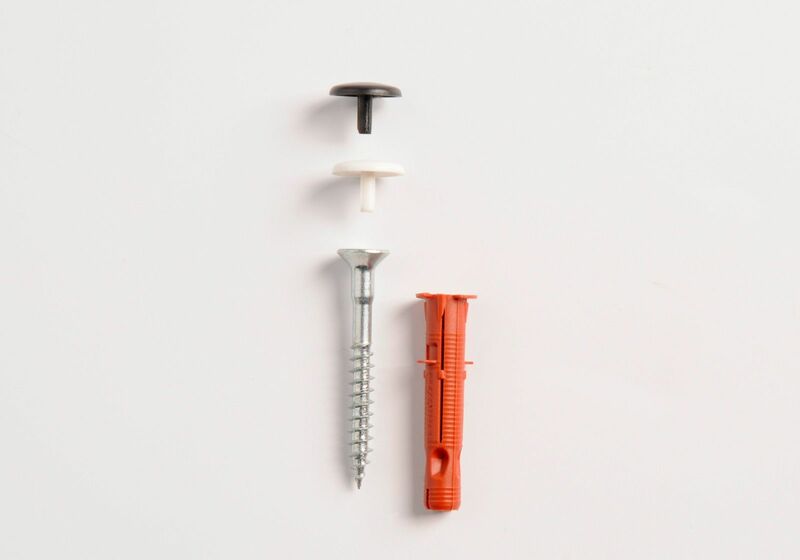 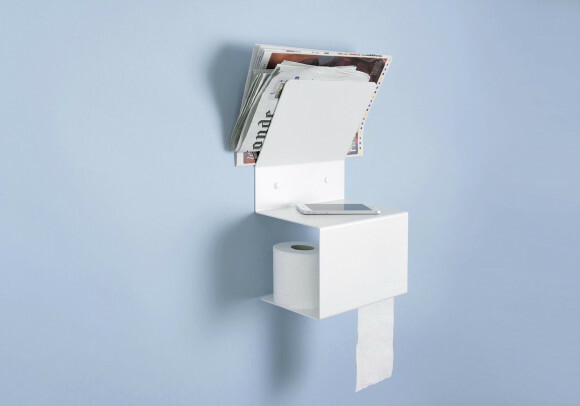 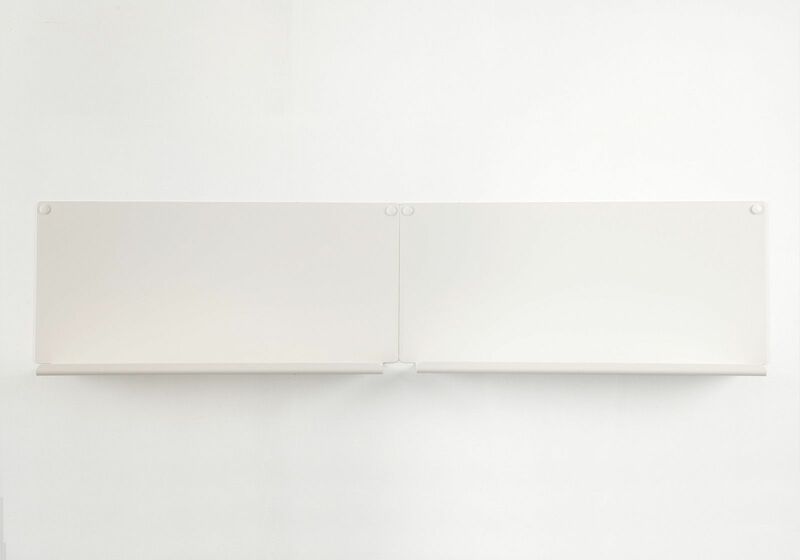 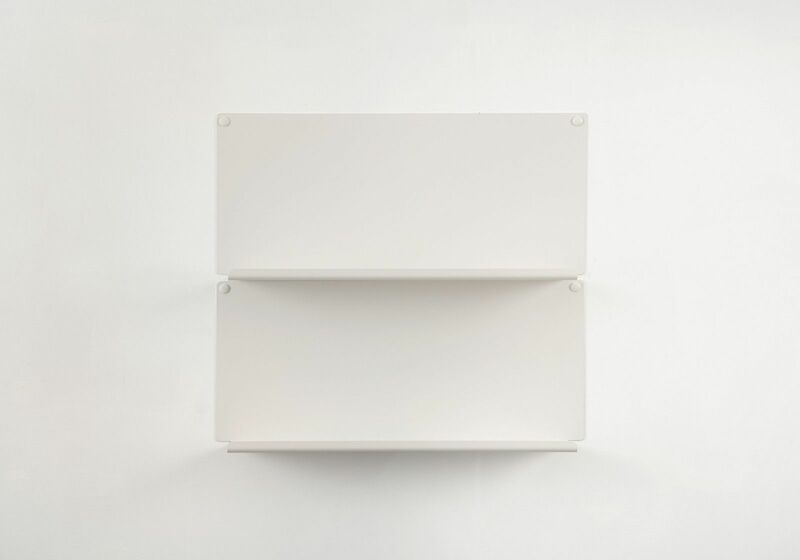 TEEbooks bathroom wall shelves are made of steel sheet, 1.5 mm thick, and can support loads of up to 20 kg.